Home - Panama Finance Law & Co. Independent director in boards of directors of securities firms, private equity funds, and real estate holdings. Deal negotiations and closings, drafting of contracts and minutes, procedures before the DGI and ANATI. Drafting and execution of banking contracts, loans, pledges, credit assignments, and trusts. Financial reorganizations, corporate restructurings, balance sheet refinancing’s and asset divestitures. Advisory and consulting of complex corporate and real estate projects, spin-offs and divestments. Panama Finance Law & Co. is a Civil Partnership organized under the laws of the Republic of Panama entered in Sheet No. : 26739 under Registration date 25-09-2007 in the Public Registry of the Republic of Panama under the Act Nine (9) of 1984, the Law sixteen (16) of 1993, the Code of Ethics and Professional Responsibility of the Attorney. Panama Finance Law & Co. has social capital of one million dollars (US$1,000,000.00) and client profiles such as securities firms, private equity funds, real estate developers, family offices, and private investors. Arturo Miranda Castillo manages the Department of Mediation, Conciliation and Arbitration. He is registered as a Conciliator and Mediator No. 1391 by the Alternate Conflict Resolution Directorate of the Ministry of Government of Panama and he completed the Training Program of the Conciliation and Arbitration Center of Panama (CeCAP). Arturo Miranda Castillo leads the Corporate Governance Department. He is Partner No. 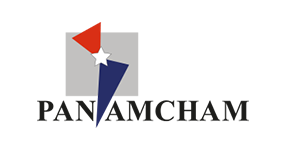 15520 of the Panamanian Association of Business Executives since September 2006 and Associate of the Institute of Corporate Governance of Panama since February of 2009, among others. He is currently or has been an underwriter, director (independent or executive), officer and/or legal representative of dozens of legal entities providing the services of professional director of boards of directors, principal executive and/or general manager as a part of his professional practice. Arturo Enrique Miranda Castillo, Licensed Lawyer No. 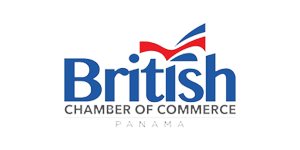 13755 issued by the General Business Chamber of the Supreme Court of Justice of Panama, has a natural person registration No. 0314 as AUTHORIZED LOCAL CUSTODIAN… according to Agreement No. 1048 of November 24, 2015 issued by the General Business Chamber of the Supreme Court of Justice of Panama, Judicial Branch of the Republic of Panama, in accordance with Law 47 of August 6, 2013, modified by Law 18 of 23 of April 2015. Panama Finance Law & Co., Civil Partnership of Lawyers with File No. 26739, registered in the General Business Chamber of the Supreme Court of Justice of Panama, has a legal person registration No. 0315 as AUTHORIZED LOCAL CUSTODIAN… according to Agreement No. 1048 of November 24, 2015 issued by the General Business Chamber of the Supreme Court of Justice of Panama, Judicial Branch of the Republic of Panama, in accordance with Law 47 of August 6, 2013, modified by Law 18 of 23 of April 2015. Panama Finance Law & Co. includes 7% of ITBMS (Transfer Tax on Movable Property and Services) on all fees for services rendered, as established by Law 8 of March 15, 2010. Panama Finance Law & Co. is a Civil Partnership of Lawyers which is registered, regulated and supervised by Intendence of Supervision and Regulation of NFSs, ascribed to the Ministry of Economy and Finance. The assets or transactions are obtained through external suppliers or third-party natural and/or legal persons. This website is owned by Panama Finance Law & Co. and is for informational and illustrative use only and for advertising purposes. Panama Finance Law & Co. is not responsible or guarantees the results obtained through the use of this page by its Users and any electronic communication derived from it. Any of the assets or transactions are from external suppliers or from third-party natural and/or legal persons and should not be interpreted as legal, investment or tax advice, nor as a recommendation or advice to buy, sell or hold any particular asset or transaction and consequently neither Panama Finance Law & Co. nor its subsidiaries, affiliates, associated or related entities, nor their respective partners, lawyers, administrators, agents or employees guarantee or assure satisfactory results and, consequently, the activities that are made by the Users are for their own account and at their own risk. The Users accept and acknowledge that they have knowledge of the information and risks of the transaction they are carrying out, for which reason they expressly exonerate Panama Finance Law & Co. from any losses incurred in said transaction. Additionally, Panama Finance Law & Co. declares that such transactions are carried out under the principles of impartiality, good faith, transparency, on the basis that the User assumes the risk and putting the interests of the User before those of Panama Finance Law & Co.